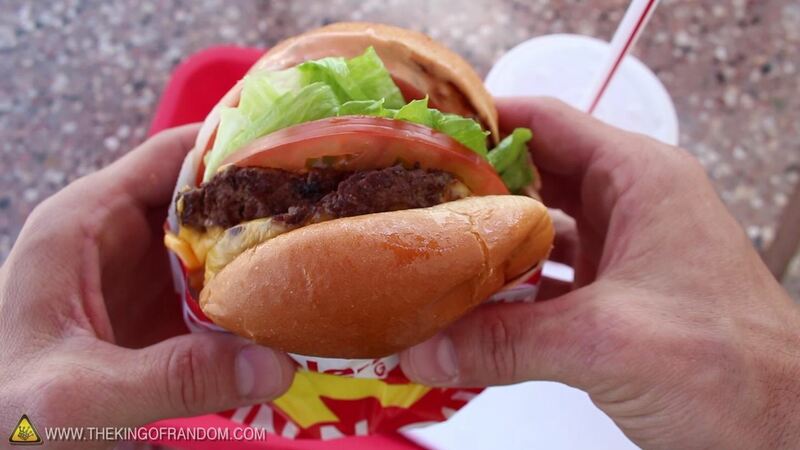 Are you a messy burger eater? 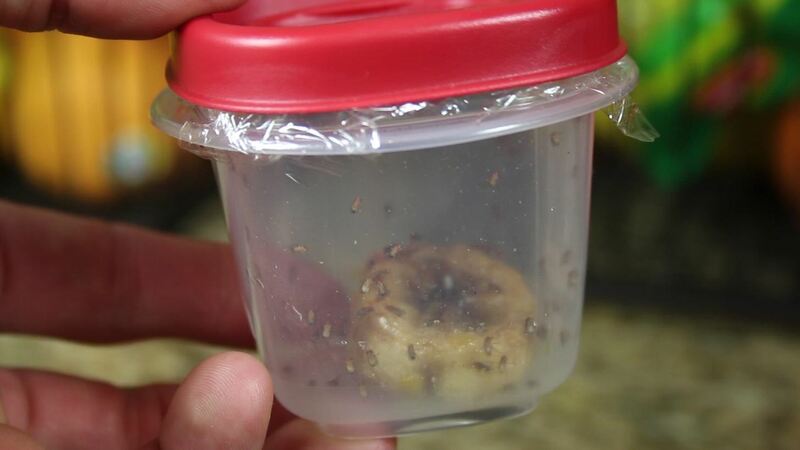 Ants and fruit flies invading your home? Hate drinking warm drinks? 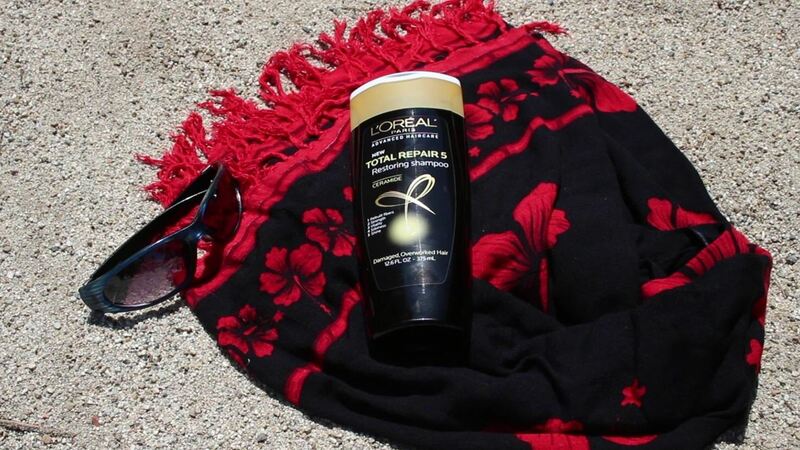 Find out the quick and easy DIY solutions to these problems with these 10 amazing tips and tricks for the summer. 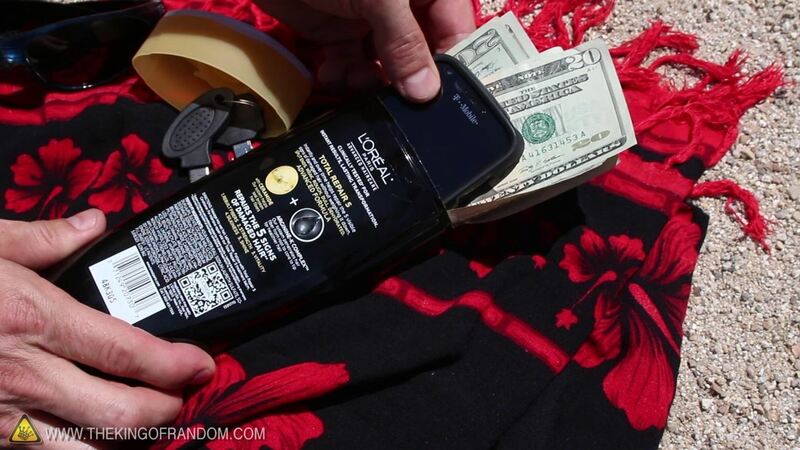 I had seen pictures of some of these useful ideas on the internet, but no videos, so I made this in hopes that all of you would enjoy my favorite summer life hacks just as much as I do. Some of these ideas were inspired from posts on sites like Lifehacker, Pinterest, and Google, but the mango and fruit fly projects were inspired by my wife, from a trick she learned while visiting Argentina. These projects and results are depictions of my own personal experiences. 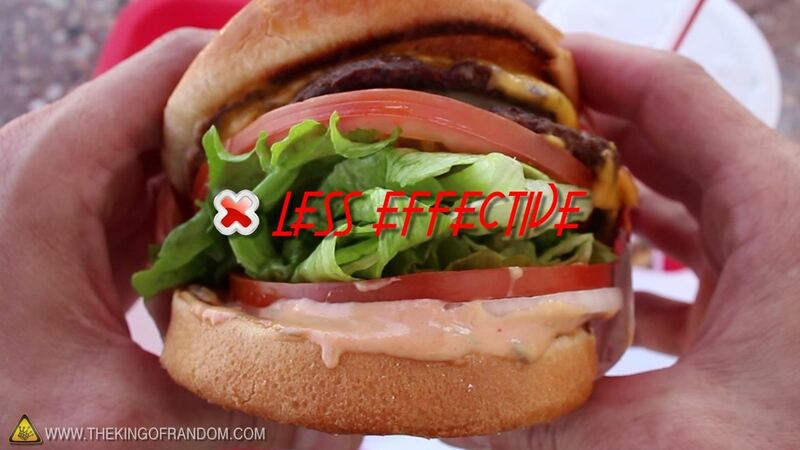 Your results may vary depending on your location and modifications. There may be risks associated with some of these projects that require adult supervision, and possibly others that I'm not aware of. Use of this content is at your own risk. When you need a drink to cool down, hot water can taste disgusting. 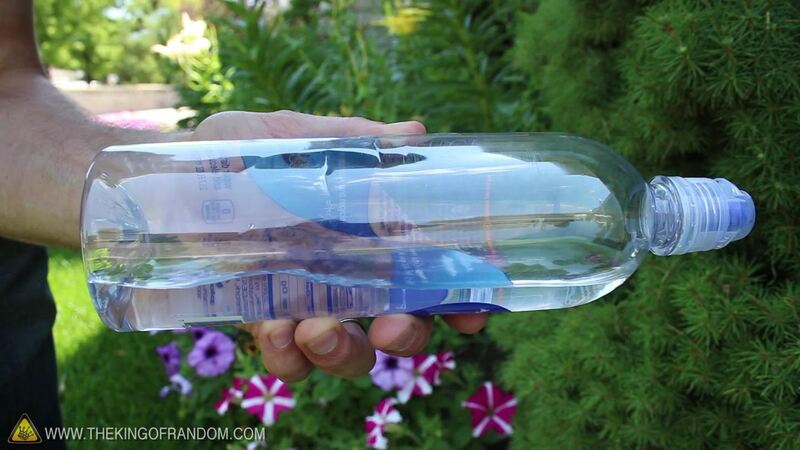 Try filling your water bottles a quarter of the way, so that when their on their sides, the water settles just below the bottle neck. 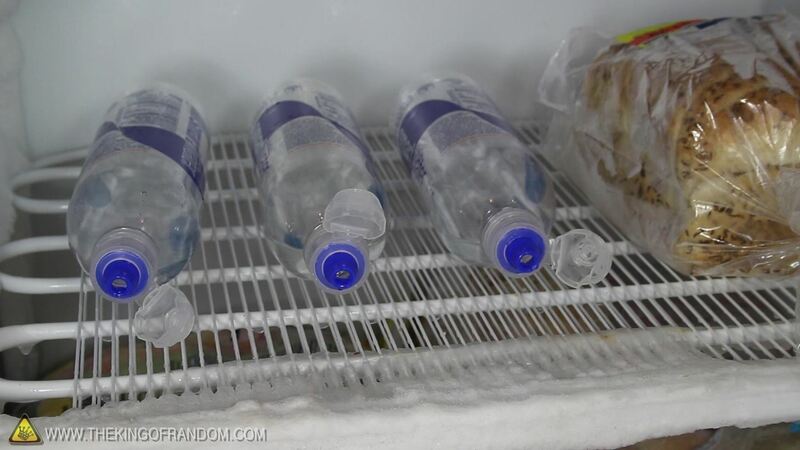 Now stick your bottles in the freezer and go on with your day. 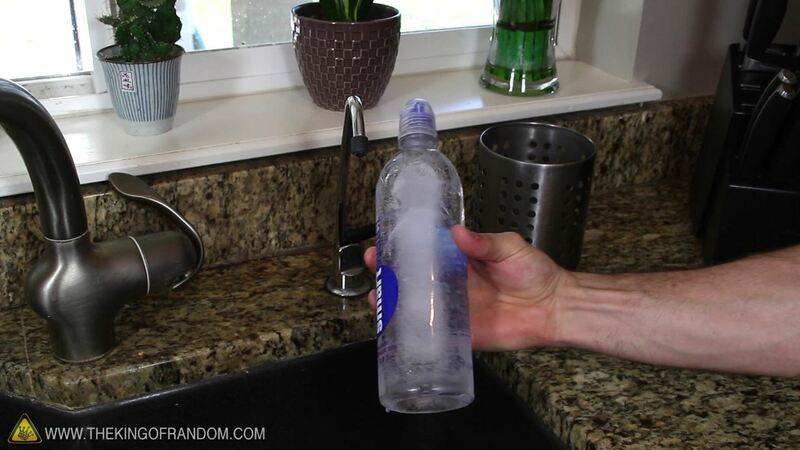 When the water is frozen it will make an ice block on the side the bottle, but doesn't block the opening. Now when you need to cool off, just take a bottle from the freezer, fill it up with your favorite drink, and you've got an instant, icy cold beverage ready to go. 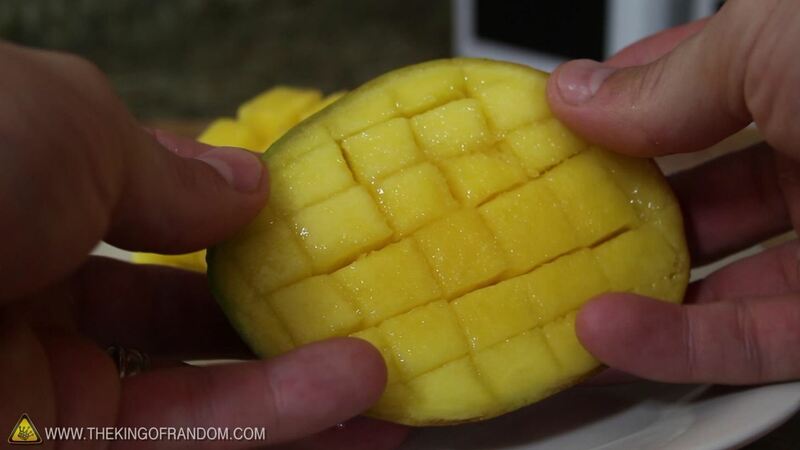 To eat a mango easier, carefully cut off the two sides of the fruit, and hold one piece in your hand. 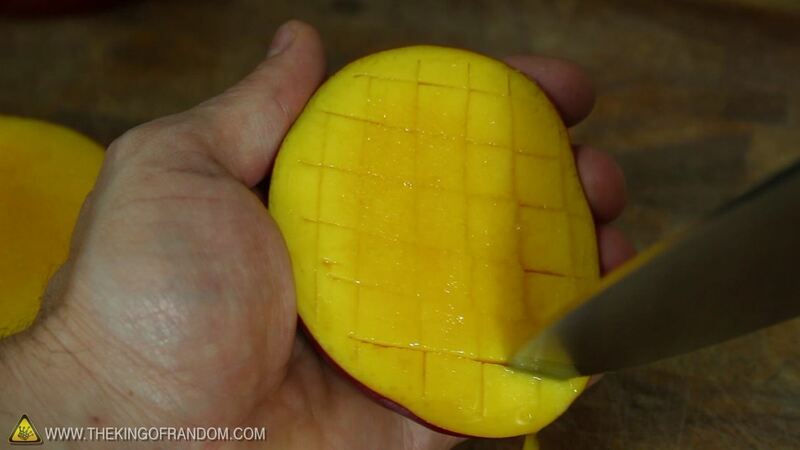 You can gently cut a few lines vertically, and a few more across, until the pattern resembles a checkerboard. Now take it with both hands and gently push from the back. You'll see bite-sized pieces pop right up, and they're ready to eat. 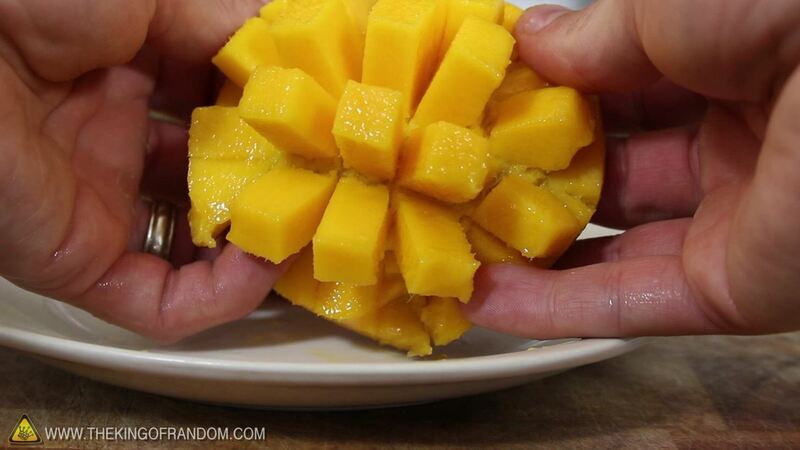 You can use a spoon to scrape them into a bowl, or just eat them right off the peel. 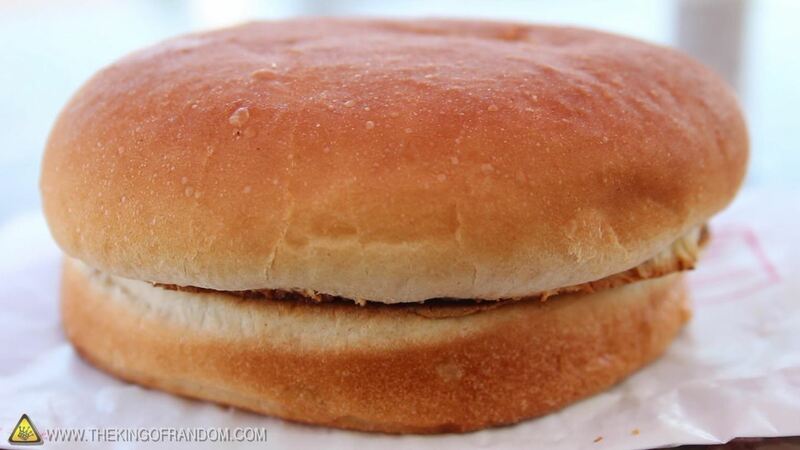 It's fast, easy, and they won't get stuck in your teeth. 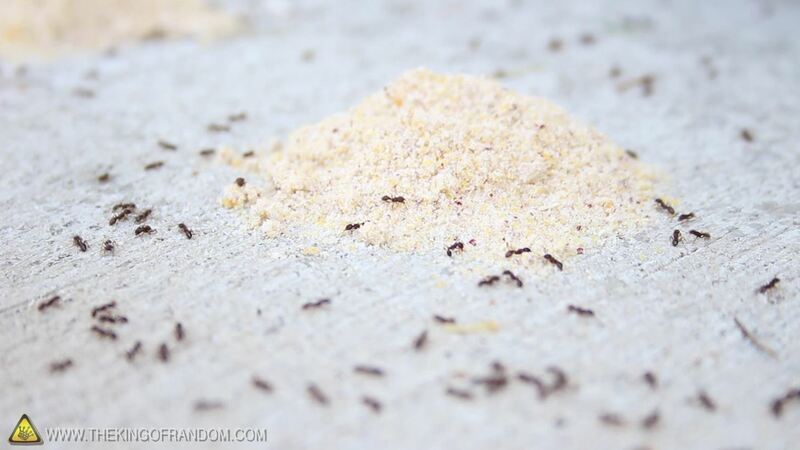 If you've got ants and you're looking for a natural form of pest control, try measuring out a cup of popcorn kernels. 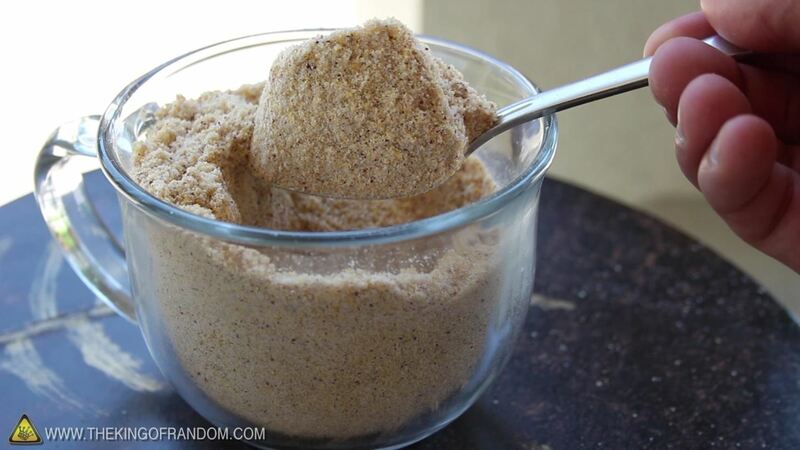 Put them in a blender, on high speed for about 30 seconds, and you'll end up with a batch of fresh, homemade cornmeal. 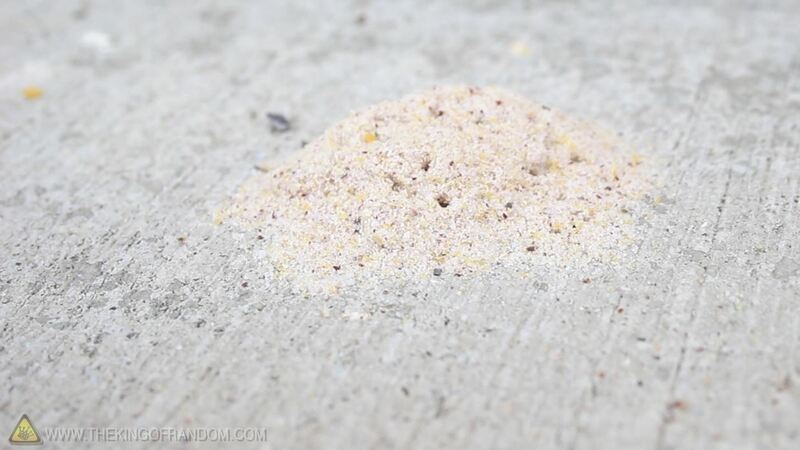 Just make a few piles around the ant trails and within a few days, your ant problems will, literally disappear. 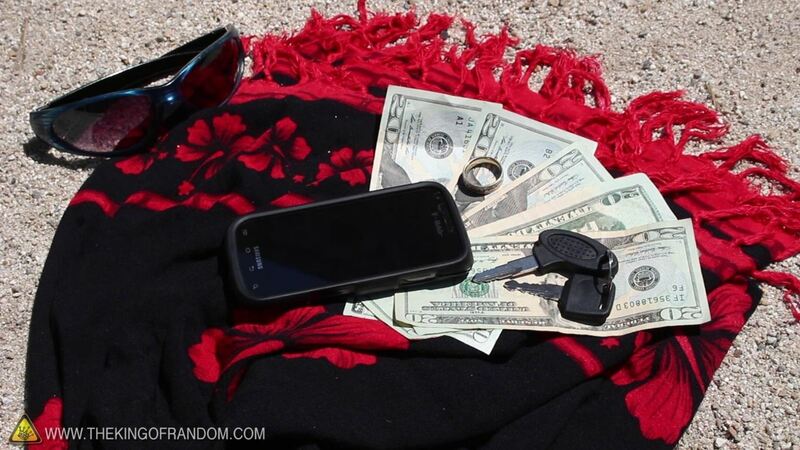 When you're at the beach, reduce the chances of things getting stolen by making a covert container. 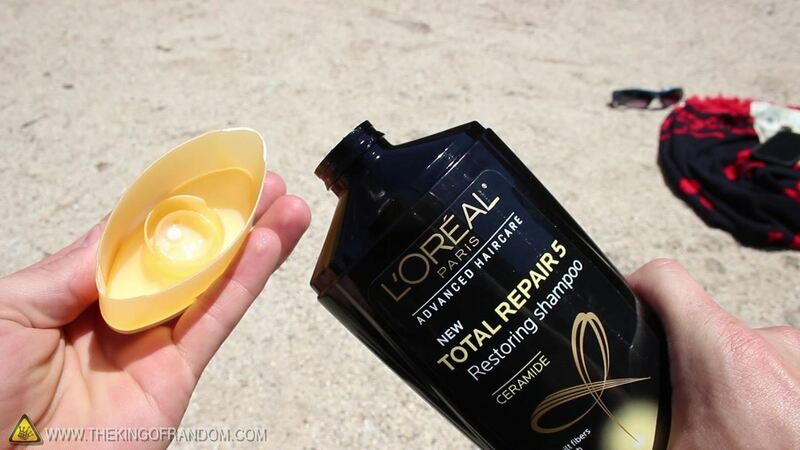 Just take your old shampoo bottle and twist the top so that it pops right off. 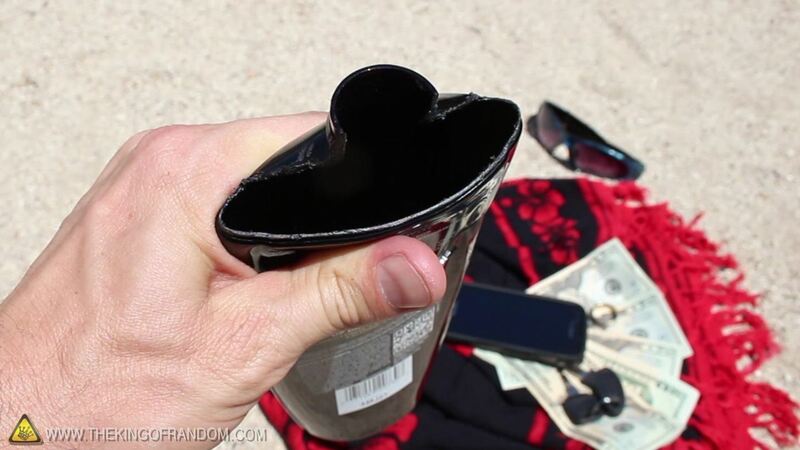 Clean it out and cut a hole in the top that's just big enough, to stash your valuable items inside. Now you can snap the top back on, and your items are perfectly concealed. Anyone who sees this will just think it's a shampoo bottle, and chances are, nobody's wants to steal your shampoo. 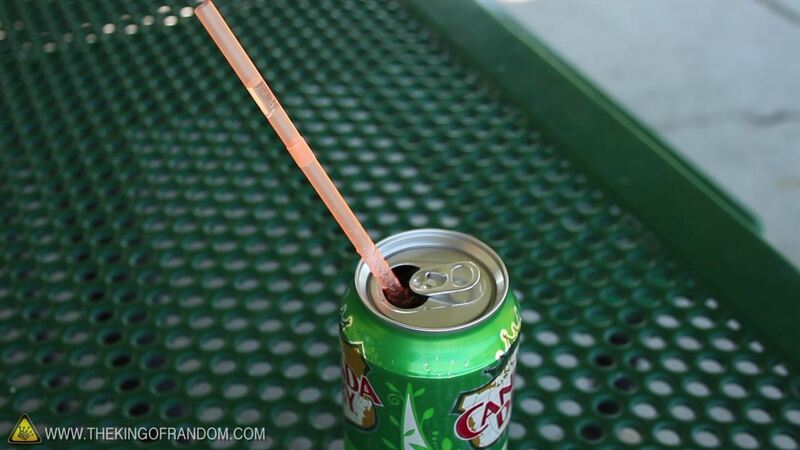 Have you ever noticed that when you put a straw in a can of soda, it doesn't want to stay? 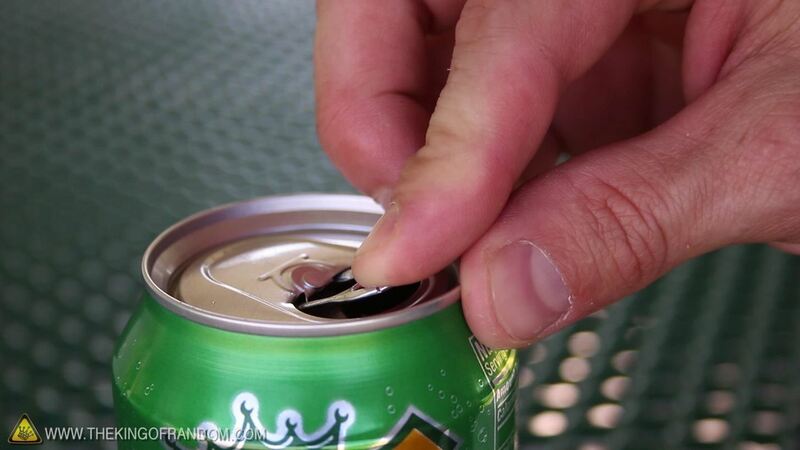 Try bending the tab of the can over the hole and sliding your straw down through the tab. 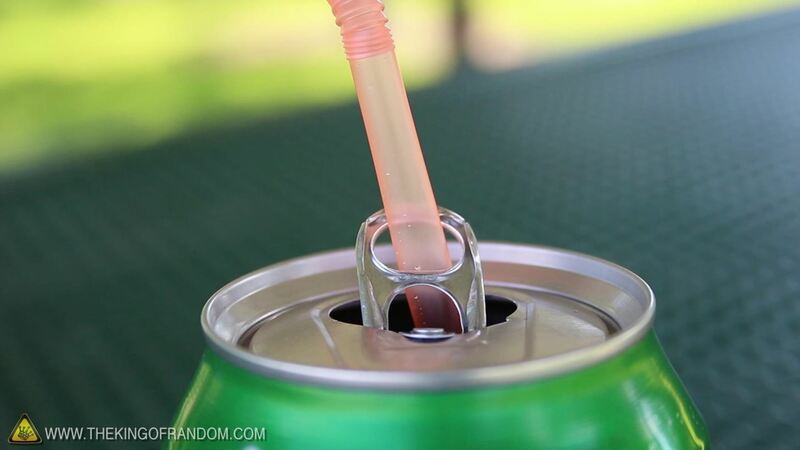 No more floating straws, because now, it's held in place. 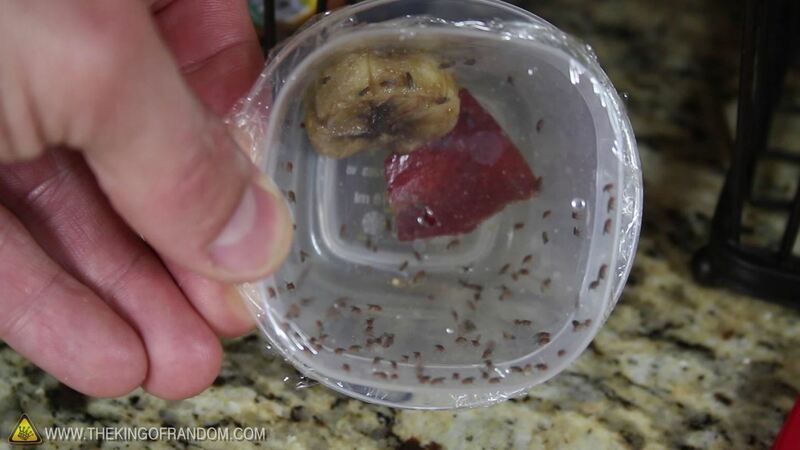 It's the season for fruit flies, so before they take over your kitchen, slice a few pieces of banana and mix them with some of your leftover mango peels. 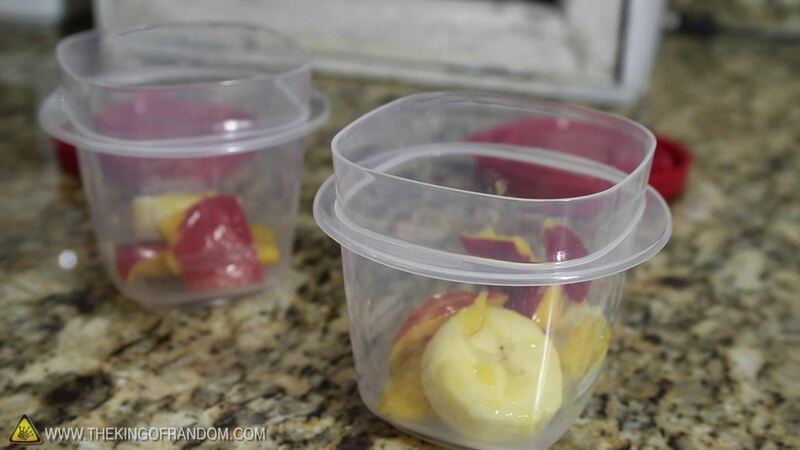 Find yourself a couple of small containers, and add the fruit. Now just stretch a piece of plastic wrap over the top, and use something like the tip of a chopstick to poke a small hole in the center that's just bigger than the fly. Now you can set it and forget it. Within a few minutes, the flies will be checking things out, and once one goes in, you can be sure his friends will follow. Within a couple of days, they'll all be having a rocking fruit party. 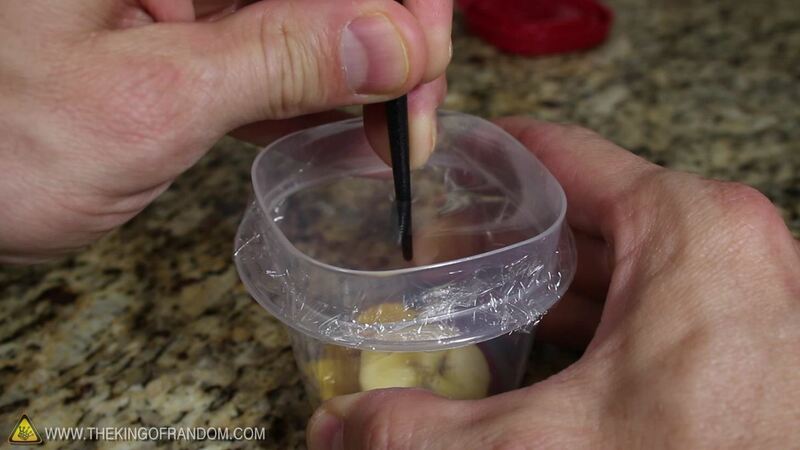 And now you can simply, take the lid of the container and press it on, sealing them inside. Now you, are the lord of the flies. Summer means popsicles, and popsicles mean your kids are going to get sticky fingers. 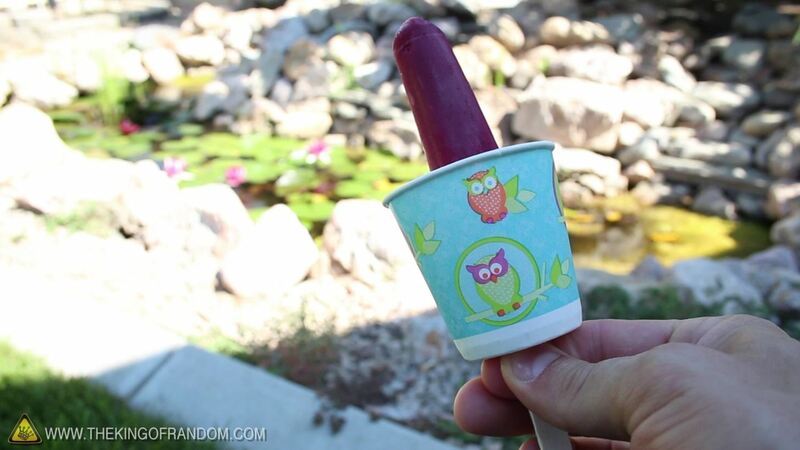 Grab a small paper cup, and carefully poke a hole in the bottom, about the size of a popsicle stick. 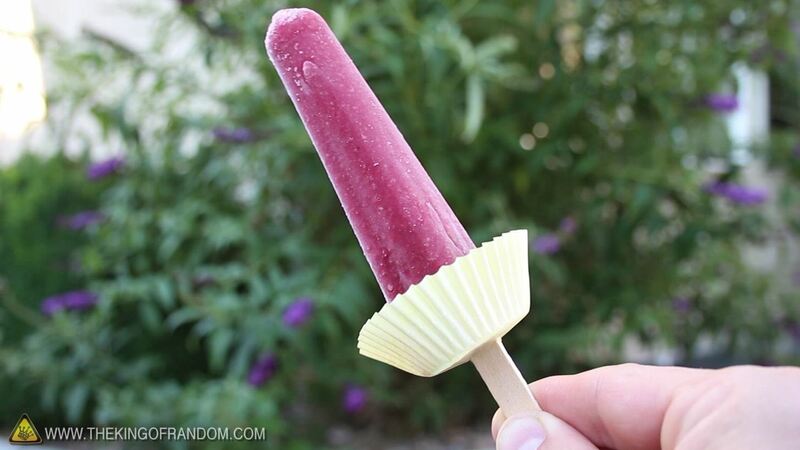 Now when you push a popsicle inside, you've got an instant drip catcher, and no more sticky fingers. 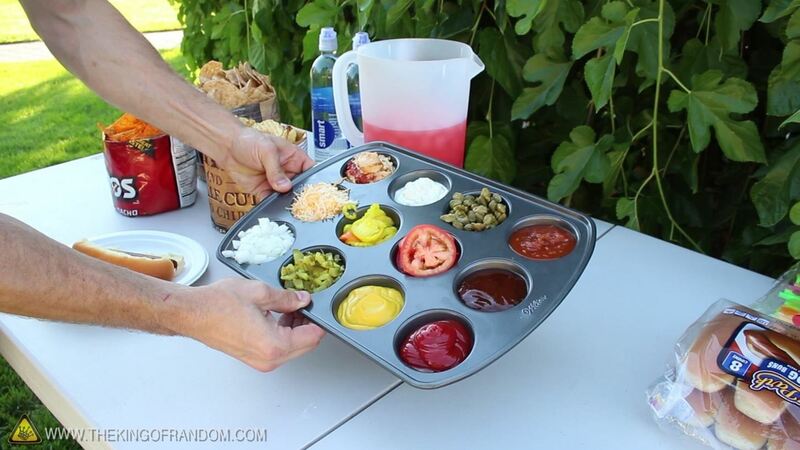 By the way, this works great with cupcake liners as well! 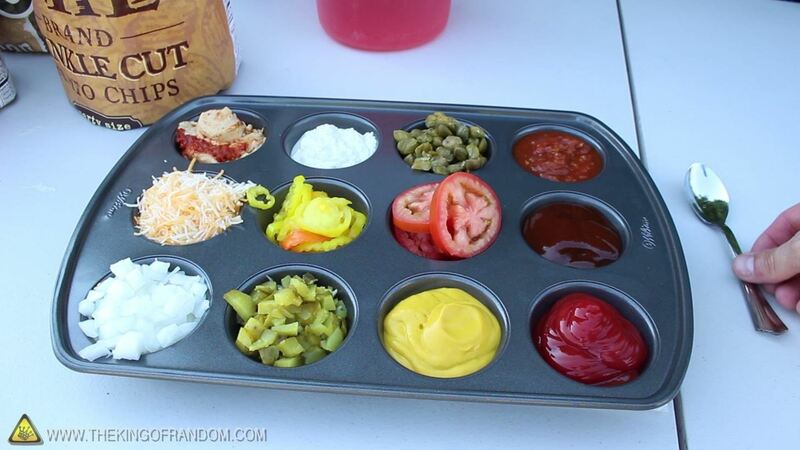 You've probably been to a BBQ where the condiments take up half the table, and the lineups for using them take forever. 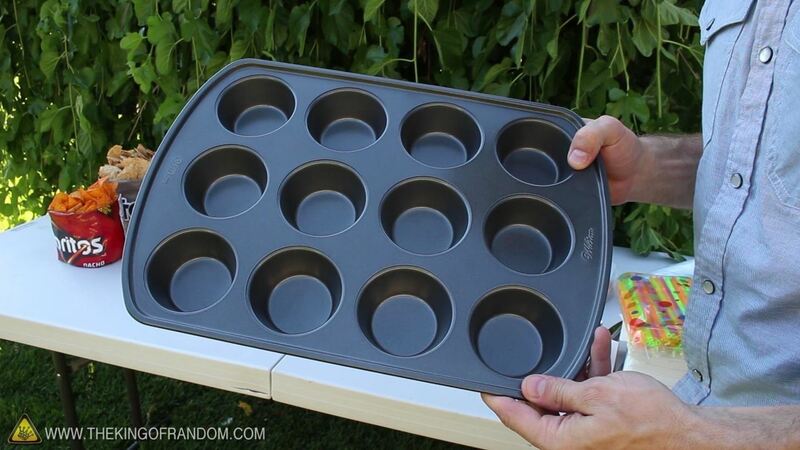 Solve the problem with a muffin pan. 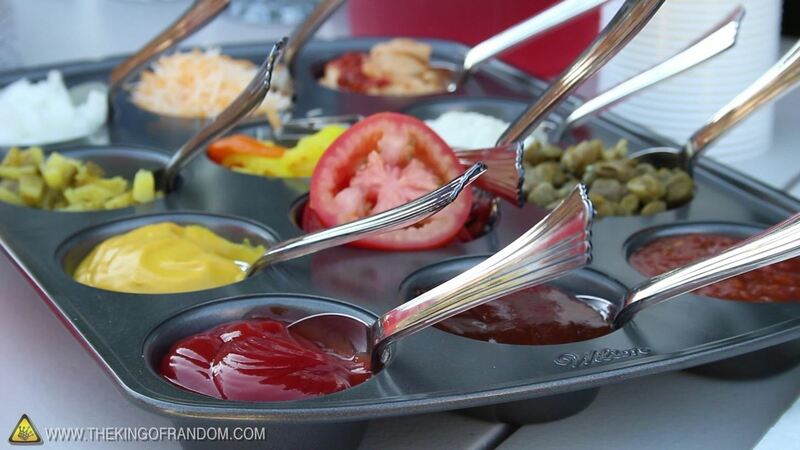 This way your condiments are easy to access and your lines will move along quickly. You'll also dramatically increase your table space, and cut down on the things to clean up afterward. 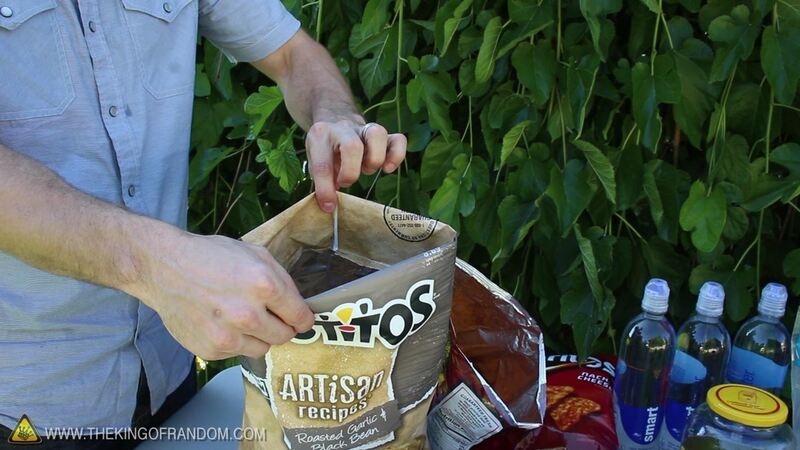 The next time you're at a party and someone has bags of chips laying around, impress your friends by making them into custom snack bowls. 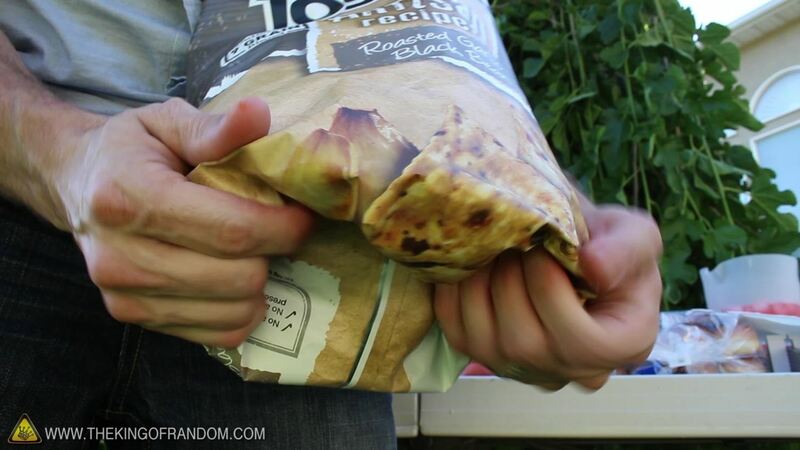 You can fold the top edge inside the bag first, then begin rolling the bottom corners, up into the base of the bag, pushing the chips up as you go. 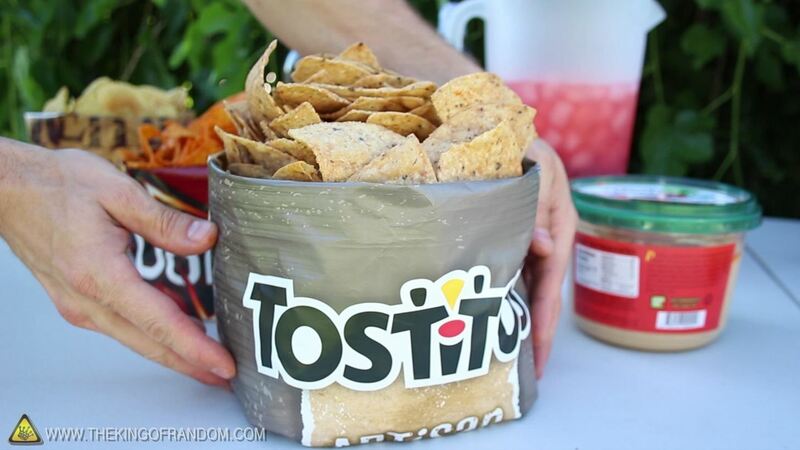 You'll end up with a custom snack bowl, with chips overflowing. 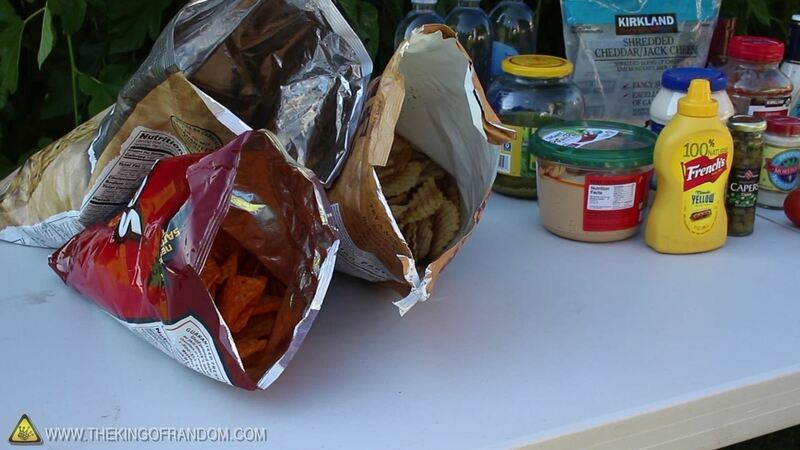 Well there are a few tricks to make your summer a littler easier. 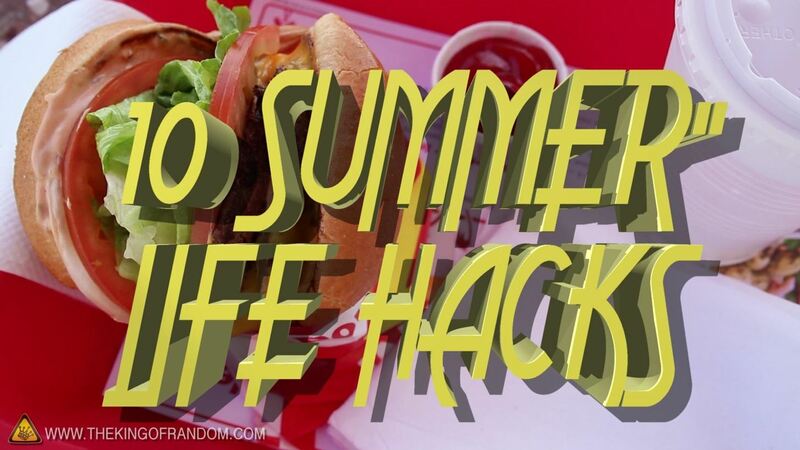 If you liked these summer life hacks, perhaps you'll like some of my other projects. Check out my other articles here on WonderHowTo or see the videos at thekingofrandom.com. Awesome! Keep those videos coming. Also, I saw the vid of you on Good Morning America.